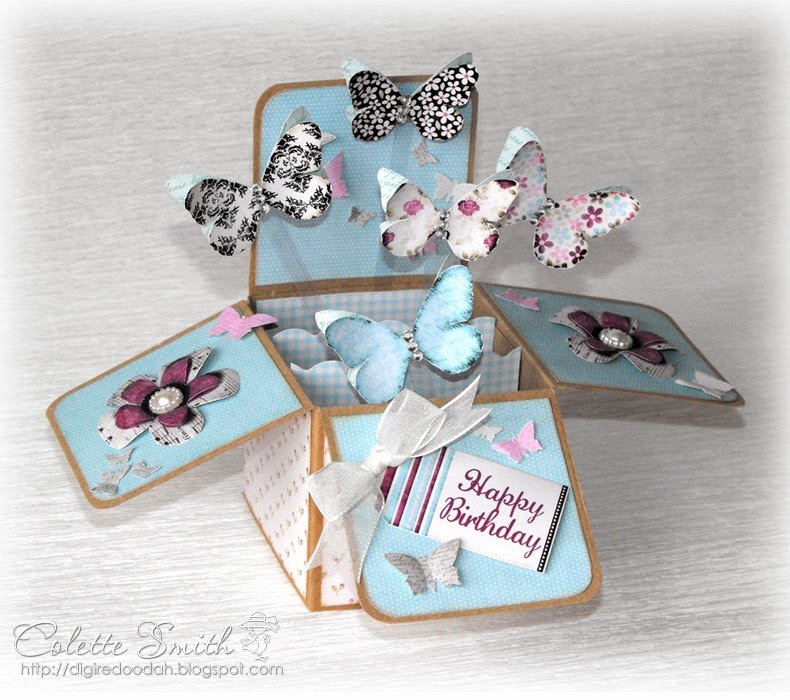 These cards in a box seem to be all over the place at the moment, so thought I would have a go at making one, I found some great instructions with downloadable template (link on my blog) and put this one together. I used Meiflower clear stick on crystals for the butterfly bodies, a couple of her pearl embellishments to the centres of the flower and an organza ribbon bow. 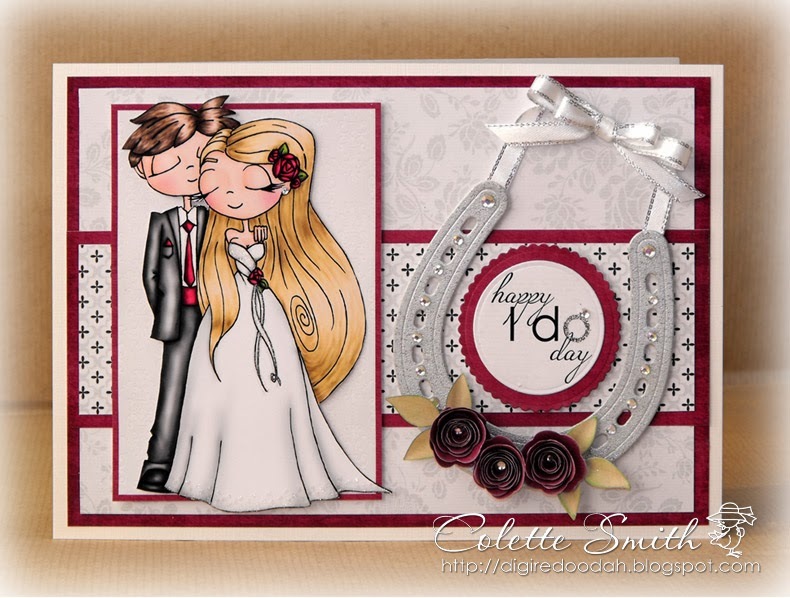 Here's a wedding card I put together using a digital stamp from Time for Tea and a wedding horseshoe die from Joanna Sheen, I embellished the horseshoe with metallic edged satin ribbon and stick on gems from Meiflower crafts. 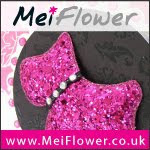 Here's a baby card I made using lots of dies, a couple of punches and ribbon and stick on pearls from Meiflower. I used satin ribbon for the hood and pram of the baby carriage, by first applying a thin line of Collall tacky glue around the edges of the pram hood and blanket, then attaching the ribbon ( I used 25mm wide satin and 10mm wide satin), leaving it to dry and then trimming away the excess. I used the same ribbon and technique behind the die cut border too and then decorated with various sizes of stick on pearls finishing off with a double loop bow made from organza ribbon. 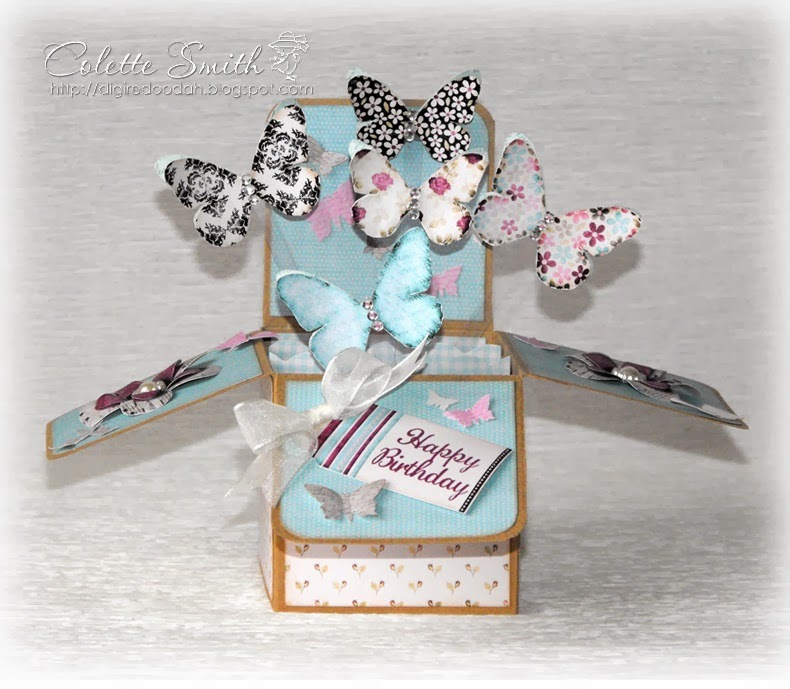 Hi there, here's a card I put together with a sneak peek of the First Love ultimate kit from Paper Creator, I used Meiflower Organza ribbon to make a double bow and different sized stick on gems for the butterfly bodies.